A team led by David Trilling, associate professor of astronomy at Northern Arizona University, has been selected to receive a NASA Group Achievement Award. According to NASA, the Spitzer Near Earth Asteroid Team is being recognized “for exemplary science implementation, analysis and execution of the Spitzer 2011 MD and 2009 BD near-Earth Asteroid Observations for NASA’s Asteroid Redirect Mission.” Trilling, NAU post-doctoral researcher Michael Mommert and colleagues from four other institutions participated in the research. The award will be presented Tuesday, June 30, during a ceremony in California hosted by NASA’s Jet Propulsion Laboratory. 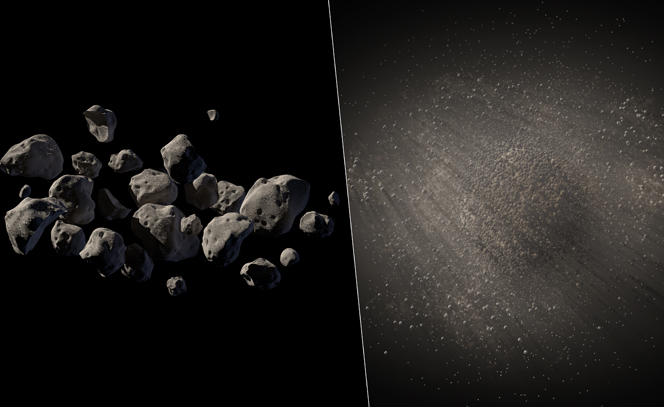 The project involved the observation of two small asteroids in support of NASA’s proposed Asteroid Redirect Mission. Trilling explained that NASA originally planned to capture a small asteroid and bring it back to Earth orbit, and the team’s observations helped determine whether either of the two best candidate asteroids would allow for a successful mission. Trilling said that NASA has since decided not to proceed with capturing an asteroid. Now the plan is to pick up a boulder off of a larger asteroid instead. “I think our observations of the two small asteroids convinced NASA that the capture plan was too risky,” Trilling said.